One of the most difficult things to do initially at a women’s retreat has to be getting women comfortable with those they don’t know well. As a child, it always upset me when the adults in charge would make me sit by someone I don’t know. Oh, I understand why they did it, but I sure didn’t like it. 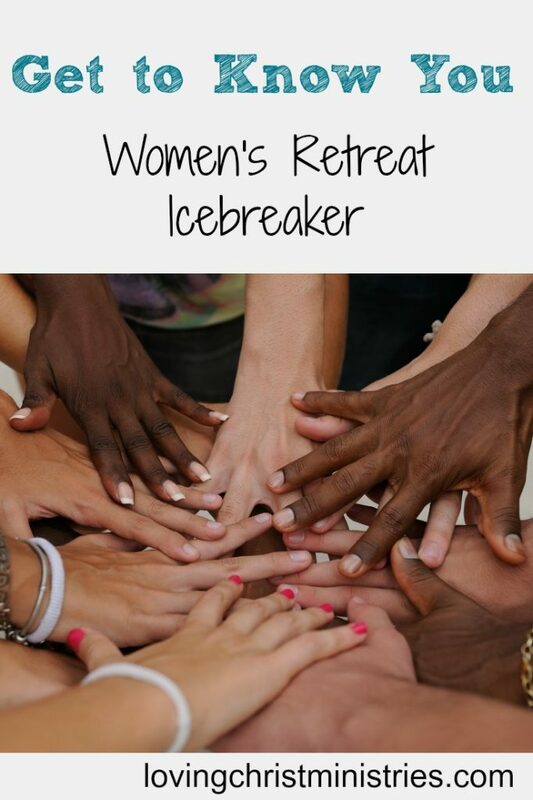 Now, when organizing women’s retreats, I want the same thing for the ladies those adults wanted for us when we were children – I want them to branch out and know more people. One of the points of Loving Christ Ministries is for each one to expand her network of support. However, I don’t want anyone to feel so uncomfortable they dread the ‘getting to know you’ time. I always make sure that when icebreakers are over, they are free to move back and sit by whomever they want. Of course, at your own event, you are welcome to do what works best for you. Tell the ladies that they need to ask the question they drew to as many ladies as possible in the given time limit. They should introduce themselves briefly before asking the question. Each should write down the person’s name and a brief summary of the answer. Decide on a time limit for asking questions. We used 5 minutes for a small group of 15, but if you have many more it would probably be best to give at least 10 minutes. 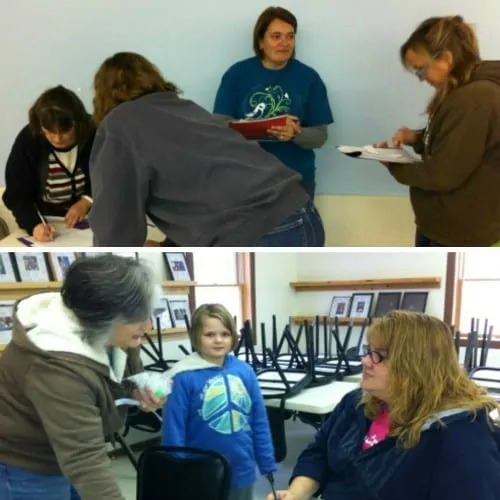 When time is called, have each lady share their name, their question, and some of the answers they received. 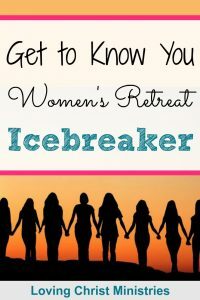 Fill out the form below and get a free list of over 20 questions plus scriptures and other resources for more icebreakers! You can print these and cut them in strips or use your own questions. Want to remember this? 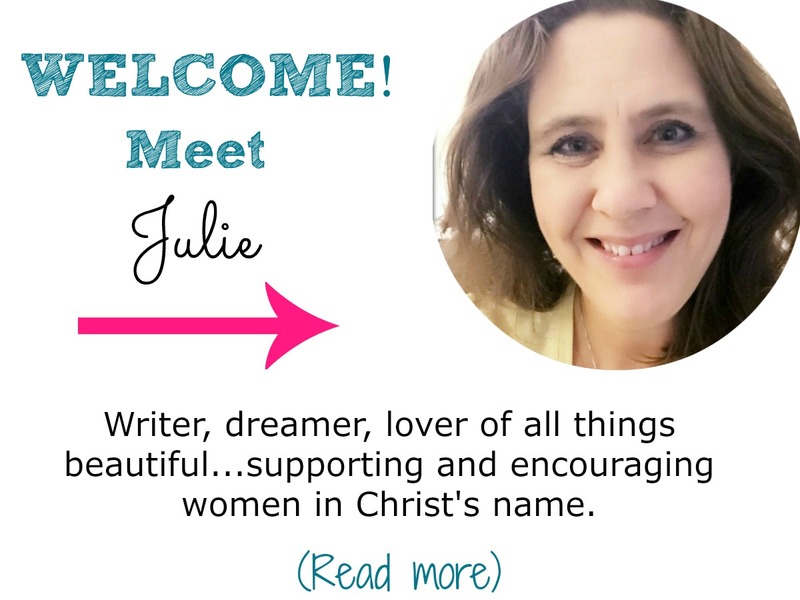 Post this Get to Know You Icebreaker to your favorite Pinterest board! « But HOW Do We Make the Earth His Kingdom? Oh so true. I hated to sit next to strangers as a child too. 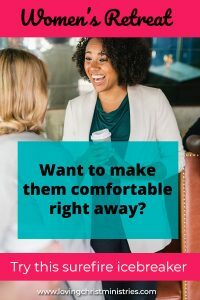 Completely agree – a well planned, fun icebreaker can make an event engaging and help participants get more out of the event. 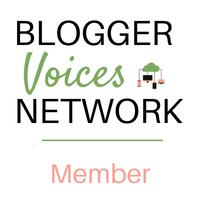 Great ideas – I’ll keep them in mind!! Perfect! Let me know if you use it and how it goes! Have fun! It is so much fun. I’m sure it could be used in many groups and with many ages. Thanks so much for stopping by! I agree with your thoughts on allowing the women to move back to their comfort zones after the ice breakers. The goal is to introduce women so they have an opportunity to build on that premise. Thanks for the ice breaker. Exactly! 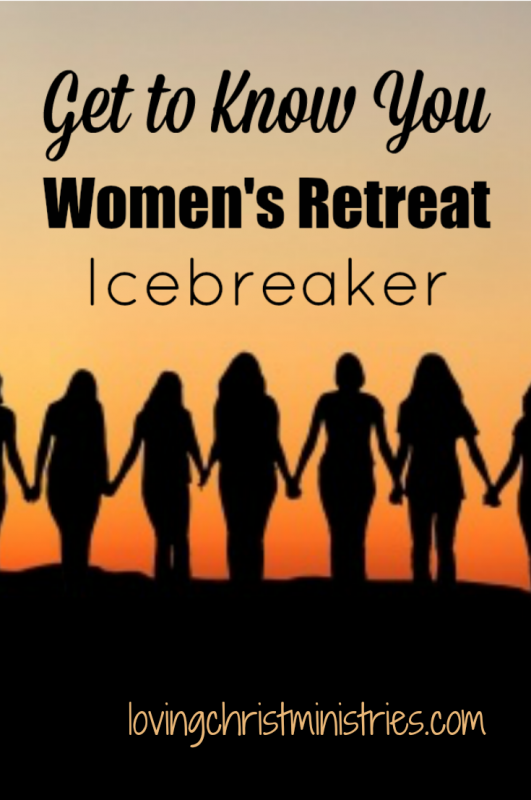 I’ve found that a little later on in the retreat, the women get to know each other even better through our activities, and then they are more comfortable and naturally branch out to mix with others. Thanks so much for stopping by and sharing your thoughts!